Some of it is an onion to the extent that crying is nigh. Crying is high. It is both imperceptible and imminent and arranged in off-pattern jazzishness. A little uh-uh-uh / aaaahhh-ahhh. & come I hither in a glaze of unctuous loveydoveries, buttery buns, something’s got to smooth the rough pits in my honeycomb. 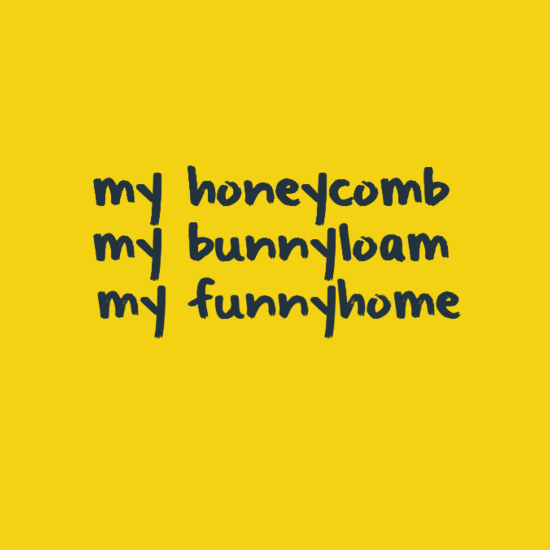 my bunnyloam. my funnyhome I have made with noodley loins and shunted milk and ire.